Capital One® Spark® Cash for Business is a business cash back credit card with a $95 annual fee (waived in the first year) and a straightforward rewards program that pays you an unlimited 2% cash back on every purchase you make. Like many fellow business credit cards, it offers business benefits such as free employee cards and spending reports, though it’s a bit less generous on this front than some competitors. Spark Cash for Business is comparable to a number of other business rewards cards, some of which are annual-fee-free and some of which charge annual fees ranging as high as $450. They include: Chase Ink Business Preferred ($95 annual fee), American Express SimplyCash Plus (no annual fee), and American Express Blue Business Plus, among others. When you spend at least $4,500 in eligible purchases within 3 months of opening your account, you get a $500 cash bonus. Capital One Spark Cash for Business earns a flat, unlimited 2% cash back. You can redeem your accumulated cash back in any amount for paper checks or statement credits. Alternatively, you can elect to receive automatic redemptions (statement credits or checks) once you hit a preset threshold: $25, $50, $100, or $200. Capital One also allows you to redeem cash back for gift cards. However, this can cut the value of your cash back significantly and may entail a minimum redemption threshold, subject to terms that can change without warning. The $95 annual fee is waived in the first year. There is no balance transfer fee, foreign transaction fee, or fee for extra employee cards. The late payment fee is $39, and the cash advance fee is the greater of $10 or 3%. With your account, you receive periodic spending summaries that feature detailed, categorized, and itemized looks at your spending, as well as that of your employees, if applicable. Your account comes with downloadable purchase reports that are ready for export to accounting platforms such as Excel, QuickBooks, and Quicken, streamlining your business’s year-end accounting and tax preparation process. This card comes with a nice lineup of additional benefits, including 24/7 emergency card replacement, complimentary loss and damage coverage on rental cars charged in full, and lost luggage protection up to $3,000 per trip when you charge the full value of the travel ticket (airfare, train fare, and so on) to your card. This card requires excellent or good credit. A few minor dings probably won’t disqualify your application, but more serious issues aren’t acceptable. Great Early Spend Bonus. This card’s early spend bonus is worth up to $500 – a nice chunk of change for any business owner. No Foreign Transaction or Balance Transfer Fees. Spark Cash for Business doesn’t have any foreign transaction or balance transfer fees. This dual benefit is great for two types of cardholders: those who do business outside the U.S., and those who wish to transfer high-interest balances from existing credit card accounts. Some popular alternatives, including Business Green Rewards (2.7%), carry foreign transaction fees ranging from 2% to 3%. Most carry balance transfer fees of at least 3% or $5 per transfer, whichever is greater. High Baseline Cash Back Rate. This card earns 2% cash back with no limits or restrictions. A consistent 2% rate is fairly rare for any credit card, consumer or business, and is a great boost for business owners with heavy spending needs in a wide range of categories. Flat Cash Back Scheme Is Super Simple. Spark Cash for Business has a super simple cash back rewards program: unlimited 2% cash back on every purchase, every day. This is great news for people who can’t be bothered to deal with tiered and capped spending categories or, even worse, rotating categories. Many competing business rewards cards, including the Chase Ink and American Express business card families, have more complicated deals that include tiers and caps. Flexible, Any-Amount Rewards Redemption. You can redeem your accumulated cash back rewards in any amount, as long as you’re willing to take a paper check or statement credit. By contrast, the Chase Ink cards impose a $20 minimum redemption, while the U.S. Bank Business Edge Cash Rewards makes you wait until you’ve hit $25 in earned cash back. Has an Annual Fee. 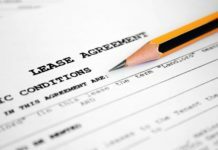 Although this card’s $95 annual fee is relatively modest compared with some competing business cards and waived during the first year, it’s still a problem for business owners who don’t spend enough to cover it. For a fee-free card with similar benefits, consider Capital One Spark Cash Select for Business. No Intro APR Period. This card doesn’t come with a special introductory APR offer for purchases or balance transfers. Spark Cash Select and U.S. Bank Business Edge Cash Rewards both have 0% purchase and balance transfer APRs for about 9 months from account opening. Minimal Non-cash Redemption Options. If you don’t want to redeem your accumulated cash back rewards for actual cash, this isn’t the card for you. Your other redemption options are limited to gift cards, which may erode the value of your points. By contrast, the Chase Ink and American Express business card families both offer access to extensive merchandise portals – Ultimate Rewards and Membership Rewards, respectively. These portals allow you to redeem for a wide variety of merchandise items, often at a $0.01-per-point rate – and even higher, in some cases. Limited Business Benefits. This card doesn’t have a ton of benefits, especially for business owners, aside from the downloadable purchase records and quarterly spending reports. That’s a disadvantage relative to some other business cards. Spark Cash Select, the annual-fee-free junior cousin of Spark Cash for Business, earns an unlimited 1.5% cash back on all purchases. Aside from a few business benefits not available with Capital One’s consumer cards, it’s nearly identical to the Capital One Quicksilver Card, though the lack of balance transfer fees is an important Spark Cash Select benefit that’s not available to Quicksilver cardholders. Meanwhile, with a flat, unlimited 2% cash back rate on all purchases, Capital One® Spark® Cash for Business is like a turbocharged Quicksilver – again, with the added benefit of nonexistent balance transfer fees. Although many other business cards have more generous benefit packages, it’s hard to do better than Spark Cash’s baseline earning rate. If all you care about is the bottom line, this card needs to be high on your list. 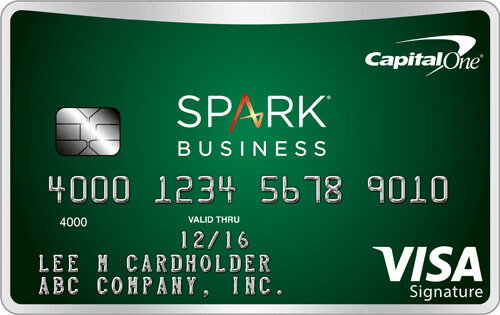 Capital One® Spark® Cash for Business is an ideal general-spending card for business owners with moderate to high spending needs spread across a wide variety of categories. It’s not as useful for more frugal business owners, those who want to be able to redeem their rewards for travel or merchandise, and those who enjoy lots of fringe benefits and value-added perks. This card’s great early spend bonus, high cash back rate, flexible redemption options, and its lack of balance transfer and foreign transaction fees and spending caps are all major perks. The annual fee, lack of intro APR, limited business benefits, and limited non-cash redemption options are troublesome. Overall, a great general spending card for business owners who spend enough to cover the annual fee and have an aversion to spending caps in general.